Ghulam Nabi Mahiser great Sindhi Molood and Ghazals performer was popular due to his great sound. He was performed Molood and Ghazals in Sindhi language on different places such as Mazaris of Sufi Buzrigs of Sindh. The history of Molood Sharif was very old in the past time when peoples gathering on the one place at night time and Molood performer got appreciation from the peoples. 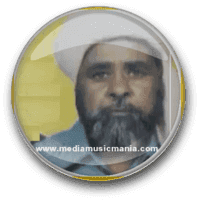 Ghulam Nabi Mahiser was very old naturally Storyteller in Molood and Ghazals, he perform poetry of Sufi Buzrigs, such as Hazrat Shah Abdul Latif Bhitai R.A, Hazrat Bedal Faqeer R.A, Hazrat Bhudhal Faqeer R.A and others. He had distributed Molood Sharif from one village to next village. Ghulam Nabi Mahiser performed some spiritual Molood Sharif such as "Roway Chhokra Chho Tho" and "Punhal Pai Phero" was very popular in all over Sindh. I have selected below most popular some Molood Sharif of Ghulam Nabi Mahiser. Ghulam Nabi Mahiser Sindhi Molood and Ghazals Artist from Province of Sindh. He was most famous Sindhi Molood and Ghazals Master of Sindh. He was called the Ustad in Sindhi Molood Sharif, Ghazals, Sindhi Kafiyoon and Naat performer he was most surely understood Sindhi Molood performer and created great name in Sindh. Molood and Ghazals are called tragedy spiritual in Islam, the Molood performer giving admire to Allah Almighty, and Nabi Karim S.A, someone remember to the past and they give message of Allah to others on the event of Marriage ceremonies, after performing of "Juma Nizam" in the Mosques and also on Eid Day.